Dr. Glenn Gandelman is board certified in cardiology, echocardiography, and nuclear medicine. He specializes in prevention, diagnosis and treatment of cardiovascular disease. In addition to his medical doctorate, Dr. Gandelman earned a Masters in Public Health (MPH) degree, specializing in healthcare management and community health initiatives. He received his training at Cornell University, New York Medical College, North Shore-LIJ, and Westchester Medical Center. 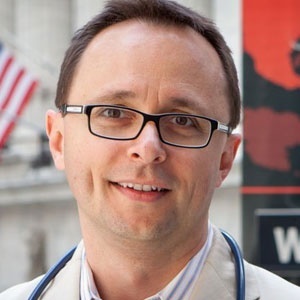 He is an associate clinical professor of medicine at New York Medical College, a Clinical Instructor at Yale, New Haven Hospital and Cornell University Hospital. Dr. Gandelman has written for about.com—a New York Times publication—and has published numerous articles on cardiology and preventive cardiovascular disease.